As a Local Authority Recycling team, one of the most common questions we get posed is “why can’t I recycle X” … so in the first of a series of blog posting we’re going to answer as many of these questions as we can. 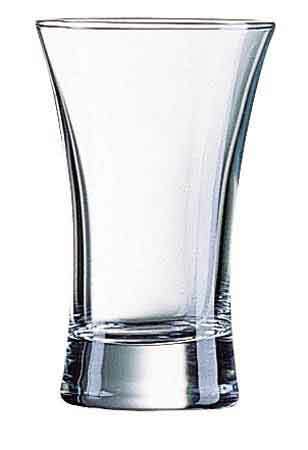 The first item we’re going to tackle is drinking glasses – we’ve recently had a couple of enquiries about either drinking glasses or Pyrex jugs. Unfortunately we can’t recycle these items because they are made from a toughened glass which contains certain chemicals, this means that they have a different melting point to glass bottles and jars you would normally put in your green recyclng box or bin. After the glass is sorted from the rest of the materials at our MRF it is sent to a glass reprocessing facility where it is turned back into more glass bottles and jars, if toughened glass is present in this process it can cause imperfections in the final product which means the glass can be easily broken …. and that is why we can’t accept drinking glasses or pyrex. If the glass is unbroken and in good condition then donate it to a charity shop, if they’re broken please wrap them up securely and place them in the refuse bin. Categories: recycling, Uncategorized | Tags: drinking glasses, Recycling, why can't i recycle | Permalink. What chemicals are used in toughening glass? Hi Martyn, unfortunately I can’t claim to be hugely knowledgable about the chemical processes involved in toughening glass. I do know that there are several different methods used which involve different chemicals, and from a quick bit of research it appears that one of the main chemicals involved is molten potassium nitrate. I hope this helps!